Bluebell Heath lies towards the north of Stanmore Common. 20 years ago it was a single open area of grassland and wild flowers. Since then scrub and woodland invaded the area, so by 2012 it comprised a series of isolated glades. Ecologically this situation was dangerous, since each small parcel of grassland supported only a small population of plants and invertebrates such that random year to year variation in population could cause local extinction. New Heath, to the northwest of Bluebell Heath, showed us what was possible. 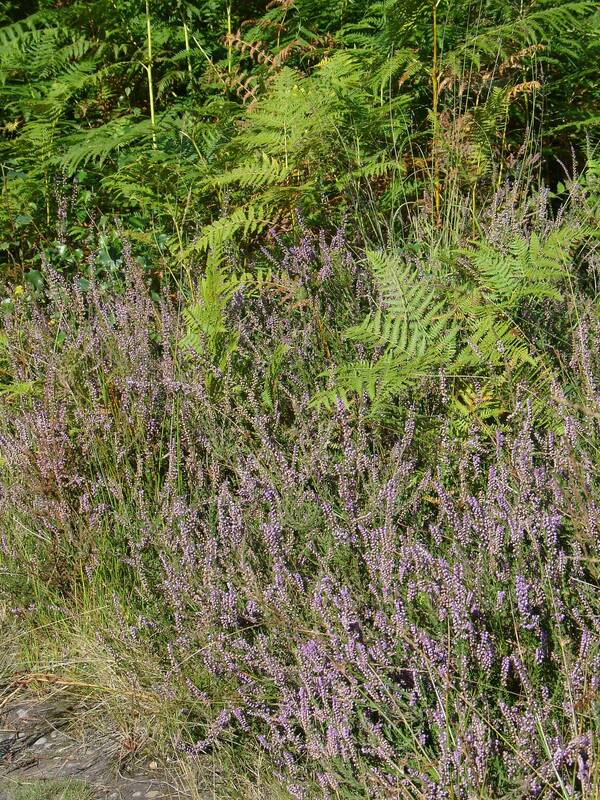 An area where trees were already dead, killed by a small forest fire, was scraped of leaf litter to reveal the underlying stony glacial beds and then sown with heather seeds brought in from Hounslow Heath 20 km to the southeast.The heather grew well and now flowers profusely in late summer. The Heritage Lottery Fund awarded the Harrow Nature Conservation Forum £38,400 towards the cost of restoring the remainder of the historic open area of Bluebell Heath. The map above, created by Make Natural Ltd, shows the planned clearance work. The main part of the clearance was carried out during the winter of 2012-2013. Large, mature trees (mostly oak and Scot’s Pine) were left standing in what will become an an open parkland setting. 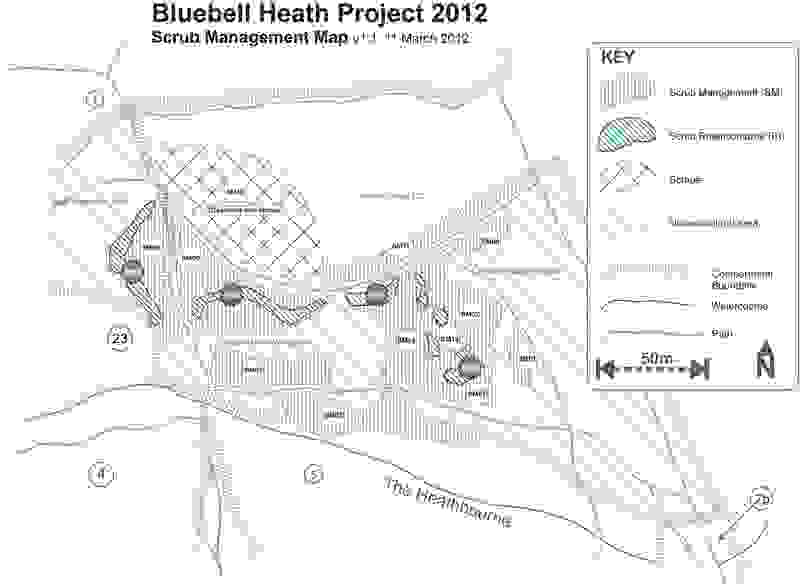 Heather seeds were collected from New Heath by local children and sown onto a new scraped area (SM10 on the map). As the site matures, the local volunteer group led by the volunteer warden Simon Braidman will continue their already considerable work improving and maintaining the area. Before and after images taken in 2012 and 2013 show how the clearance has opened up the area. However, more has to be done to control bracken and regenerating scrub, as well as surveying to see what plants and animals return to the cleared areas. See our listings for volunteer working parties and guided walks and other fun events. Contact us by email at <admin@harrowncf.org> or by post at 40 Walton Drive, Harrow, HA1 4XA.